Girl Scouts Join National Cybersecurity Awareness Campaign, "Stop.Think.Connect." 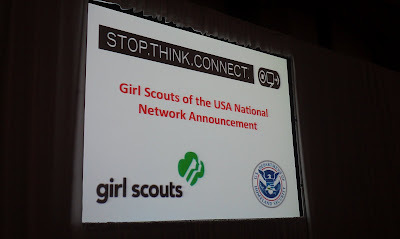 Government Security News reports that Girl Scouts of the USA has announced that it has joined the national initiative Stop.Think.Connect. developed by the U.S. Department of Homeland Security (DHS) to raise awareness about cybersecurity. The official announcement took place at the Government Forum of Incident Response and Security Teams (GFIRST) Conference in Atlanta, Georgia. DHS Acting Director of the U.S Computer Emergency Readiness Team Jenny Menna and Marilyn Midyette, CEO of Girls Scouts of Greater Atlanta announced the new partnership together with Girl Scouts from the local council, followed by the council’s participation in an interactive discussion on online safety. The Stop.Think.Connect. Campaign is a national public awareness effort among government, industry, and non-profits designed to guide the nation to a higher level of Internet security by educating and empowering the American public to be more vigilant about practicing safe online habits. The campaign will provide Girl Scouts with tools and resources to help raise awareness among kids, teens and young adults about emerging online threats and the importance of cybersecurity. This partnership builds on the campaign’s efforts to highlight resources available to communities as well as to promote cybersecurity awareness to millions of girls engaged in Girl Scouting. Through this relationship, the Girl Scouts of the USA will advocate and promote cybersecurity awareness across the country. As leaders in their communities, Girl Scout councils are encouraged to share the DHS Stop.Think.Connect. Campaign Materials and Toolkit with their staff, volunteers, and girls to educate them on the importance of staying safe online. 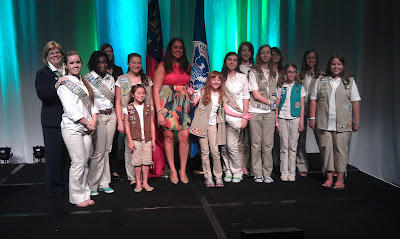 Girl Scouts of the USA will be sharing additional information on our ForGirls site.